Where were we before Modesto, Botox and Plastic Surgery? Before Plastic Surgery, Modesto and Botox, we spent met a wonderful retired pianist named Joan Orvis who lived next door. There’s a lot before Modesto, Botox, and Plastic Surgery. 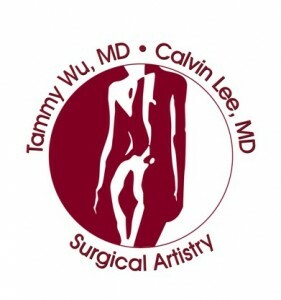 But today, I was reminded of Dr. Wu (Tammy’s) neighbor – while she was an undergraduate student at Brown University. My story of pianist Joan Orvis, our friend. I want to spend a moment here to celebrate my memory of my friend pianist Joan Orvis. I met her when Tammy and I were young students at Brown University. Tammy lived off campus on Blackstone Blvd. She had a neighbor (Joan) in her apartment complex who played piano from time to time. She found out that I played violin. She introduced me to piano trio music at the highest level. I had always loved listening to piano trios, but never had the chance to play them. Her sister lived nearby and was a professional cellist. The three of us would get together regularly through my 8 years at Brown University and play trios. This was completely off the grid from Brown University. We even performed throughout Rhode Island as a trio. Some of my favorite classical music is piano trios and quartets, and all this blossomed from the time that I spent with Joan and her sister. Joan was a retired piano professor from University of Wisconsin-Platteville for nearly 30 years. I was just checking the internet to see what has happened to my friend whom I’ve lost contact with. I just found out that she passed away in 2001. My memories of that time were jogged when I saw Chee Yun’s posting about a piano quartet which I’ve always loved. I’ve shared that version on FB this morning (please see that video – it is quite worthy). 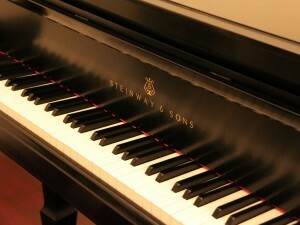 In this link, the piano is played by one of Joan Orvis’ teacher (Menahem Pressler who is now 90 years old), so I share it here: http://youtu.be/W4_aE1CVr1s. I have much to be thankful for. Thank you Joan for your friendship and the wonderful music. This entry was posted in Botox, Education, General Info, Green Living, Modesto, Music, Piano, Plastic Surgery, Recording, Wellness and tagged Joan Orvis, piano trio on December 13, 2014 by Calvin Lee, MD. I’ll have to try these ear buds for hearing protection, and I hope to report back. This would be great in an operating room environment too. There is a lot of suction and other noises going on in the operating room. I’ll have to see if these will work. I have heard that dentists use ear plugs like these, so I think it would work well for surgeons in the operating room as well. 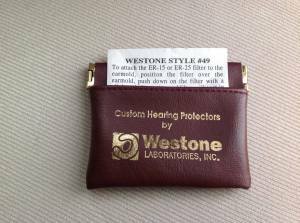 My previous ear plugs (hearing protectors) were made by Westone Laboratories, Inc. – westone style # 49. These were custom made and I had them made by an Ear Nose Throat Surgeon who made a mold of my ear canal and sent it to the company. But this was back around the year 2001. I just visited their webpage and it seems to have Etymotic ear plugs for sale at their webpage as well. Google search “westone style 49.” for more info. This entry was posted in General Info, Head and Neck, Music, Piano, Wellness and tagged hearing protection, musician's ear plugs on December 7, 2014 by Calvin Lee, MD. I’m thinking about planning a Surgical Artistry / Plastic Surgery staff hike on a weekend at Mount Diablo. Perhaps it would be a nice relaxing and healthy activity. This may never happen, but it’s a thought, and here are some of my notes. I figured we spend enough time at work talking about Botox, Breast Augmentation, Tummy tucks, and Acupuncture – that I think we could get a change of scenery from our Modesto plastic surgery office. Portable toilets are now used instead of flushing restrooms. It’s is encouraged to bring your own water for drinking. It is a mountain of the Diablo Range in Contra Costa county. Located northeast of Danville. In relation to Modesto, it is North West of Modesto, CA. It’s about a 1.5 hour drive (73.1 miles according to Google maps). It is east of San Francisco. It is located south of Clayton. The peak is in the state park which is about 20,000 acres in area. Alcohol is strictly forbidden in the park. This entry was posted in General Info, Modesto, Running, Wellness on October 20, 2014 by Calvin Lee, MD. First what are blunt tipped cannulas for fillers? Side exit port for the opening for extrusion of filler. This is on the side so that the tip can be blunt. So this reason goes along with the blunt tip reason. Flexible cannula. This allows for less injury as well, it has the potential to wiggle around obstructions which are sometimes cause by the vitals structures of nerves and vessels. Long length. this allows for fewer puncture sites. Why do we care about blunt tipped cannulas? In the end the results are for safety and less bruising. But are the effects better looking when the swelling goes down? for the most part I think so, for broad areas such as cheek and temples. This entry was posted in dermatology, Education, General Info, Green Living, Lip Augmentation, News, Running and tagged blunt tipped cannulas, lips on July 21, 2013 by Calvin Lee, MD.